The use of Google is widespread. It’s stretching its wings by leaps and bounds. We call it the omnipresent-the one that is present everywhere and knows everything. Do you know why it is hotshot? It’s so just because of its versatility. It walks hand and hand with the latest technology and security patches. This is why we all trust it blindly. Do you know who does take care of its update? It’s the Mountain View, Calif. It revamps the Chrome once in every six to seven weeks. Erstwhile, it was revived on 6th of September. Its version 61 came into existence. Now, it’s again getting fresh updates, i.e. version 62. What’s New for the Gold Coast IT Services in the Google’s version 62? 1. Patches available: The massive threat to the browsers and software comes from the malware and other viruses. 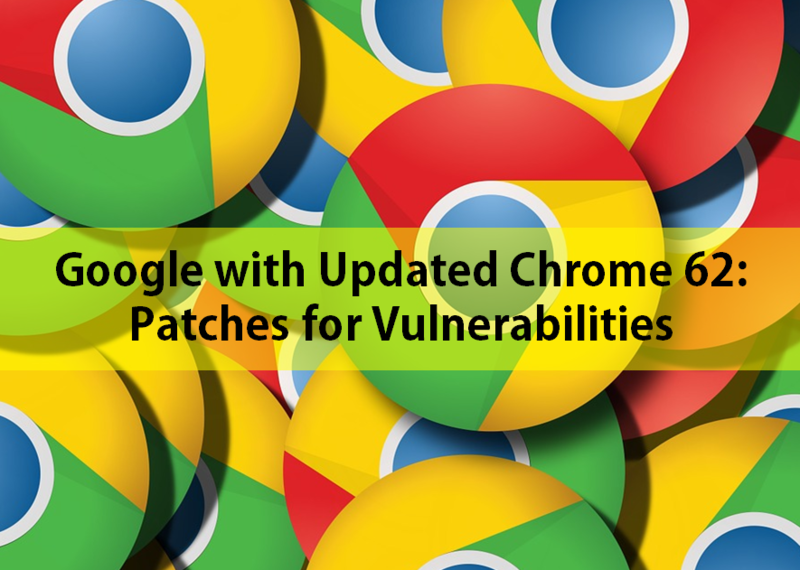 The patches in Windows and Browsers were alleged for the unwanted vulnerabilities. So, here is the solution in the new version of the Google Chrome to perform the best IT services in the Gold Coast or anywhere else! Its latest version 62 has the potential to deal with around 35 security vulnerabilities. By popping up a warning note, this new chrome will push the alert button via a message. It would state that the site is insecure. Also, the Google Incognito is no alien to this update. However, it shows no traces of the browsed history or the browsed sessions. But this version will update the user to stay alarmed with the browsing of the infected site. How will this happen? Well, it will read the text on the left of the address bar as “Not Secure”. This is how it will be able to combat the security issues while browsing through the incognito mode. 2. Auto alerts: Do you think a magic wand will automatically inform the user about its insecurity? Pop up an auto-generated message that “the site is insecure and isn’t encrypted with the digital certificate”. The warning will emerge at the time the user will start filling any field of the web page. However, the Google will experiment its success over a small volume of its users. It will pitch a few ones and watch out if or not the security patches are doing the needful. This is how the gigantic search engine will play successfully its master stroke by showing the “Not Secure” on every http page. How can the users do the necessary settings for it? Enter Mark non-secure origins as non-secure. Change the setting from Default to Warn on HTTP while in incognito mode or after editing forms. These steps would let the user browser under secure zone on the Chrome. 3. Support Open Type Variable Fonts: The Open Type variable fonts are compact by font size & style. It determines that you can resize multiple font styles seamlessly. It would gift flexibility to the web designers. They will be able to design the web pages more impactful & graceful. Also, the web developers as well as designers would get an expanded support via Network Information API (Application Programming Interface). It basically bridges the speed gap between the coding and its rendering in the browsers. It would prove a helping tool for the developers to create software in the short nick of time.